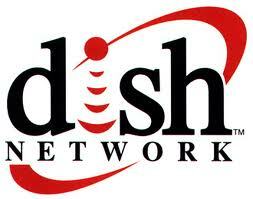 Dish Network announced a new DVR device and service that is is calling the "Hopper". OK, so it doesn't look like much. The story is in the Hopper's functionality. In addition to the usual DVR features, the Hopper provides a whole-home DVR service (how implemented?) and 3 tuners instead of the usual 2. It has a roomy 2TB hard drive, which it claims will hold up to 250 hours of HD programming. In contrast, my Time Warner Scientific Atlanta 8300HD has a 160GB hard drive, which is typically of an average cable HD DVR box in the field. The truly innovative feature of the Hopper it is a hybrid of the home-based and network-based DVR. The network based DVR will automatically (or with a single election by the user?) record all of the prime time programs on the Big 4 networks and keep them available for a period of 8 days. Smartly, since the network viewing within 7 days has value to advertisers, after that point it still has value, but the networks do not get paid for it ("Live+7" is the metric). Effectively this means that a user does not have to use any of his or her tuners to record network prime time shows, but can use all three to record basic and premium cable. How much of DVR recording is Big 4 prime time? In short, most of it. A Cabletelevision Advertising Board presentation, citing Nielsen, found that broadcast programs accounted for 66% of prime time playback of recorded programs). The bigger hard drive increases the DVR's capacity. The network DVR of the broadcast prime time also effectively increases the DVR's capacity. On the plus side, the easy to understand DVR recording rule means that all you need to know is that it was a broadcast show. Whether that distinction is meaningful to younger people is a bit of an open question. In some ways the automatic broadcast prime recording increases the DVR's convenience. In other ways, this is less convenient. No longer is your list of recorded shows "all wheat, no chaff", now your DVR will be filled with a bunch of things that you really don't want to see. Unless there are two lists, one of your recordings and one of the broadcast prime time recordings. That's no one's idea of user friendly. Additionally, the large size of the hard drive means that there are more things to wade through, even if they are of your own choosing. (It is unclear if there is any better search or filing system on this DVR. There is a "state of the art user interface, according to the somewhat-breathless Dish marketing materials.) It is difficult to navigate more choices without a keyboard (an anathema in the living room) or something truly creative like Apple's original iPod click wheel. In some ways the Hopper might be developing the navigation problem of cable VOD compared to the DVR. Wading through a lot of stuff, most of which I DON'T want to see, is one of the two big VOD problems and generally not a DVR problem. (The other big VOD problem is not know whether the program you want is even available on VOD; the Hopper's simple recording rule does put a dent in that problem). 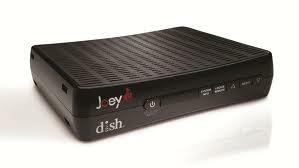 Dish also announced the companion to the Hopper box itself, oddly called the "Joey" which it bills as the smallest set-top box in the world offering full HD DVR functionality. (Translation: the Joey doesn't have a hard drive, but can access the hard drive on the main Hopper box). It, too, is not much of a looker. The bottom line is that innovation in the DVR space is good for consumers and for that Dish Network deserves praise. Last week Comcast cut a new long term deal with Disney and ESPN (full press release below) which gives a wide view to two major trends in the multichannel television business. The first is that the programmers' hand in programmer-distributor negotiations is improving and looks to continue to improve. That's a reason that Comcast went long on its commitments, and, for that matter, acquired NBC Universal. The programmers' hand is improving because the telcos successfully entered the distribution market and basic economics says that new successful entrants mean more competition among the distributors. One of the ways that plays out is that a distributor now has more to lose from being without a top programmer for a period of time than than the distributor had to lose when there wasn't as much competition. The second trend is that TV Everywhere is the new normal. The last time the distributors attempted to rewrite the basic terms of distribution was nearly a decade ago when Comcast started taking the postion that they wanted VOD rights to all of a channel's top programs and that they didn't want to pay anything extra for it. Generally speaking, that didn't work out. The programmers had a number of problems with that approach: they didn't have VOD rights from their suppliers, providing VOD effectively favored cable distributors over DBS and programmers did not want to do that, Nielsen was ill-equipped to measure VOD viewing, so the risk of VOD diluting the programmers' advertising stream was potentially very significant and finally, Comcast wasn't offering anything more that business-as-usual rate increases on the core channel. The predictable result was that biggest basic cable programmers dragged their feet on VOD and looked for ways to make it work for them (e.g., sampling for new shows). VOD also required separate delivery and preparation of the content that was available (another cost for the programmer) and VOD delivery was either very expensive or pointless for content that has a short "shelf life" (e.g., live sports, news, American Idol, weather forecasts). What has changed since then is...nearly everything. The programmers have been increasing license fees because of their stronger bargaining position and the distributors have complained about it. 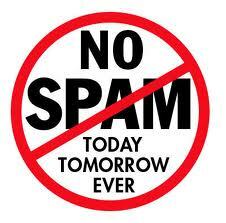 The distributors wanted additional value and the programmers were generally sympathetic to that position. Nielsen gradually made progress on the measurement issues and recognized they needed to track viewing in a more holistic way than with a meter on the set. The advertisers came around and adopted C3 as the accepted viewership currency, creating the precedent of accepting something other than 1970s-era traditional viewing as having value. Internet-delivered video drove much higher broadband penetrations. Netflix did a lot of great pioneering work and made live streaming into a value-add and then a business. OTT video is the looming threat to both programmers and distributors. TV Everywhere is a way to benefit the existing system, which is in both of their interests, at least for now. -- but it should be the dominant multichannel trend of at least the next five years. Comcast Corporation (Nasdaq: CMCSA, CMCSK) and The Walt Disney Company (NYSE: DIS) today announced a long-term, comprehensive distribution agreement that will deliver Disney’s top quality sports, news and entertainment content to Comcast’s Xfinity TV customers into the next decade on television, online, on tablets and handheld devices. The new agreement enhances the multichannel business model and supports the companies’ mutual goal to deliver the best video content to customers across multiple platforms using the latest technology and cloud innovation. For the first time ever, Comcast’s Xfinity TV customers will be able to watch ESPN, ABC or Disney shows live or on demand and across multiple screens. The companies also agreed to collaborate over the term of the deal to create new, innovative viewing experiences for Xfinity TV customers. The networks and services covered by the agreement include: ABC, ABC Family, Disney Channel, Disney XD, ESPN, ESPN2, ESPNU, ESPN Deportes, ESPNEWS, ESPN Classic, ESPN Goal Line, ESPN Buzzer Beater, ESPN 3D, ESPN GamePlan, ESPN FullCourt and ESPN3; retransmission consent for seven ABC-owned broadcast television stations (WABC-TV New York, WLS-TV Chicago, WPVI-TV Philadelphia, KGO-TV San Francisco, KTRK-TV Houston, KTVD-TV Raleigh-Durham, and KFSN-TV Fresno) as well as more than 10 high-definition networks. Additionally, Comcast will launch Disney Junior, a new 24-hour basic channel for preschool-age children, parents and caregivers. Comcast will also provide its Xfinity TV customers with broad access to a suite of live Disney networks on an authenticated basis and expanded Xfinity On Demand content through Disney’s comprehensive TV+ initiative. In total, 70 services are covered by the broad scope of this new agreement. License fee schedules for different services under the deal will be phased in over time. ABC On Demand, ABC’s fast-forward-disabled On Demand service, which currently features a selection of top-rated primetime entertainment programming, including episodes of such popular current ABC shows as “Castle,” “Grey's Anatomy,” “Once Upon A Time,” “Private Practice” and “Revenge.” Full current seasons will be made available on a number of shows. Additionally, Xfinity TV customers will have access to a variety of ABC News programming as well as some local ABC owned-station content. ABC Family On Demand, which features a variety of top-rated full episodes, refreshed monthly, from such popular millennial favorites as “The Secret Life of the American Teenager,” “Switched at Birth,” and “Melissa & Joey.” Full current seasons will be made available on a number of shows. ABC Family original movies like “12 Dates of Christmas” will also be available. Disney Channel’s subscription Video On Demand service, which offers on demand access to select episodes before they air, will now be available to Xfinity TV customers who receive Disney Channel, a service that Comcast will offer to these customers for no additional fee. Expanded on demand content from ESPN, including content from ESPN Deportes and ESPN’s award-winning original content from ESPN Films. The subscription On Demand service “Disney Family Movies,” which features a selection of classic and contemporary feature films and animated shorts from The Walt Disney Studios. Xfinity TV customers will receive broad access to existing authenticated products like WatchESPN, as well as upcoming authenticated products, including WatchDisneyChannel, WatchDisneyXD and WatchDisneyJunior. These services will give Comcast’s Xfinity TV customers more opportunities to access live and video on demand content, both in-home and out-of-home, on their computers, smartphones, tablets and gaming consoles. Xfinity TV customers will also receive the recently announced Disney Junior, a new 24-hour basic channel for children ages 2-7, parents and caregivers. Upon its debut in 2012, the new channel will feature animated and live action programming that blends Disney’s unparalleled storytelling and beloved characters with learning, including early math, language skills, healthy eating and lifestyles, and social skills. Comcast also obtained rights to air certain content from ESPN3, ESPN FullCourt and ESPN GamePlan on Comcast’s Xfinity Sports Entertainment Package. About Comcast Corporation:Comcast Corporation (Nasdaq:CMCSA, CMCSK) (www.comcast.com) is one of the world's leading media, entertainment and communications companies. Comcast is principally involved in the operation of cable systems through Comcast Cable Communications and in the development, production and distribution of entertainment, news, sports and other content for global audiences through NBCUniversal. Comcast Cable Communications is one of the nation's largest video, high-speed Internet and phone providers to residential and business customers. Comcast is the majority owner and manager of NBCUniversal, which owns and operates entertainment and news cable networks, the NBC and Telemundo broadcast networks, local television station groups, television production operations, a major motion picture company and theme parks. About The Walt Disney Company:The Walt Disney Company (NYSE: DIS), together with its subsidiaries and affiliates, is the world’s largest diversified international family entertainment and media enterprise with five business segments: media networks, parks and resorts, studio entertainment, consumer products and interactive media. Disney Media Networks comprise a vast array of The Walt Disney Company’s broadcast, cable, radio and publishing businesses, including Disney/ABC Television Group and ESPN, Inc. Disney is a Dow 30 company and had annual revenues of $40.9 billion in its most recent fiscal year. One of the practical issues of wider OTT acceptance -- set-top box and cord clutter -- is addressed in a forthcoming Roku product, the Streaming Stick that was announced today. 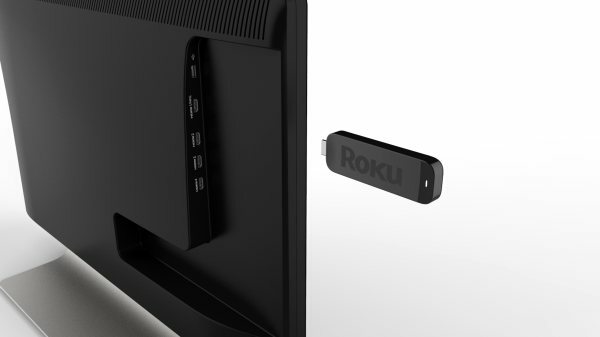 To get power, the Streaming Stick needs to be plugged into a Mobile High-Definition Link HDMI port, which, as you may have guessed, is not what you have on your several-year old HDTV, but probably will be in your next one. For the vintage set, you'll need a power adapter. This is a wifi-only device without a wired Ethernet input (unlike other Roku players). The product will first be available in Fall 2012 and will show up first at BestBuy. Retail price is unclear. CNET reports that it will be between $50 and $100, which would be in line with the price of other Roku players. Roku claims that there are 2.5 million of its streaming players in the US alone. For anyone with interest in minimalism, or simple order, this is a big step towards curbing the rat's nest of wires around most HDTVs.